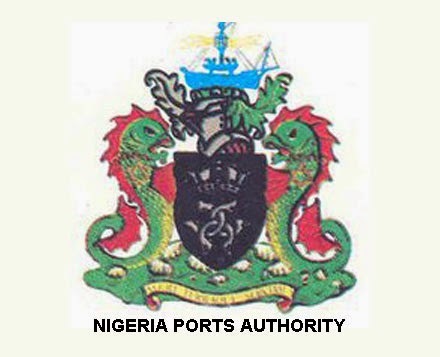 Workers of the Nigerian Ports Authority (NPA) have raised alarm over increasing revenue leakages at the nation’s seaports. This is even as the workers urged the agency to recruit lower cadre workers to monitor revenue collection by terminal operators at the ports. Mr Leke Sanni, the President of the NPA branch of the Maritime Workers Union of Nigeria (MWUN) in an interview, said that the agency was losing billions in revenue due to improper monitoring of revenue collection by terminal operators at the ports following a shortage of workforce on the part of the NPA. According to him, “the staff strength at the NPA is currently not in favour of lower cadre workers who ordinarily should be on the field to monitor revenue generation at the ports. We currently have more senior cadre staffs who are always sitting in the offices. “The senior staff and the management team stay back in the office to make decisions, but the lower cadre workers are on the field, inside the ports to monitor how money comes in. “They are the ones who do the major work because the art of generating revenue for the Federal Government takes place in the ports, not in the offices. “But the number of lower cadre workers who we depend on to do the major work is very low compared to the number of senior cadre workers who sits back in the offices. “Last year, the agency conducted interview for the employment of workers, but till date we have not heard anything about that interview. “There is need for the agency to employ more hands to avoid revenue leakages at the ports. “We need people to monitor the concession areas in order to avoid revenue leakages at the ports. We cannot continue to depend on what the terminal operators give us as what is generated as revenue,” he said. Sanni also tasked the newly re-appointed Managing Director of the NPA, Habib Abdullahi, to review workers salary. “We were already discussing issues of salary review with him before he was replaced in the first place, so we expect that now that he is back, he should look at concluding that. “In his first stint as MD, we were already discussing that with him but the NPA Board then did not give him the go- ahead to implement. “It was the board that delayed implementation then. Now that he is back, it is normal that he concludes that. Workers need to be well motivated to get the best out of them,” he concluded..